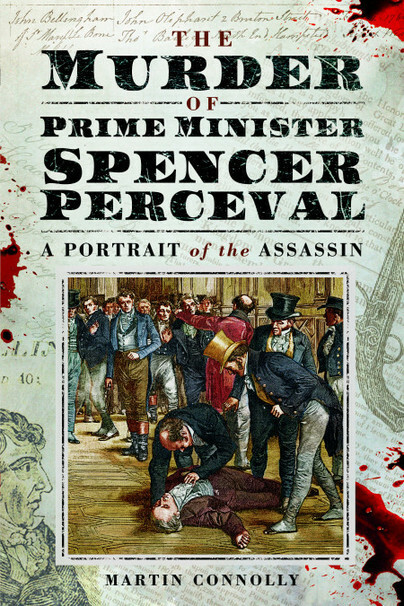 You'll be £10.39 closer to your next £10.00 credit when you purchase The Murder of Prime Minister Spencer Perceval. What's this? England entered the nineteenth century having lost the American states and was at war with France. The slave trade had been halted and the country was in torment, with industrialisation throwing men and women out of work as poverty haunted their lives. As the merchants of England and America saw their businesses stagnate and profits plummet, everyone blamed the government and its policies. Those in charge were alarmed and businessmen, who were believed to be exploiting the poor, were murdered. Assassination indeed stalked the streets. The man at the centre of the storm was Prime Minister Spencer Perceval. From the higher reaches of society to the beggar looking for bread, many wanted him dead, due to policies brought about by his inflexible religious convictions and his belief that he was appointed by God. In May 1812 he entered the Lobby of the Houses of Parliament when a man stepped forward and fired a pistol at him. The lead ball entered into his heart. Within minutes he was dead. Using freshly-discovered archive material, this book explores the assassin’s thoughts and actions through his own writings. Using his background in psychology, the author explores the question of the killer’s sanity and the fairness of his subsequent trial. Within its pages the reader will find an account of the murder of Spencer Perceval and a well-developed portrait of his assassin. Martin Connolly was born in Belfast in 1951. Married with seven grown up children, he has completed research in Psychology, Theology, Judaism and the Holocaust. He has published in magazines, and produced teaching materials in the three disciplines as well as writing on the origins of the conflict in Northern Ireland. His other books include A Potted History of West Auckland, and The Miners' Triumph: The First English World Cup Win in Football History.